Our GWO training centre Iowa is a truly world class facility. In fact we’re very lucky that all our locations are widely recognised as some of the best in the USA. This week we shine a spotlight on Iowa, looking at the courses and facilities available for our trainee technicians. Our GWO training centre Iowa is run in partnership with Iowa Lakes community college. It is recognised as one of the best wind energy training centres in the country. The training center is home to a host of facilities including climbing structures, fall arrest ladders, evacuation hatches and various lecture rooms. First and foremost you can expect a warm welcome at our GWO training center Iowa. Second you can expect to find yourself in the midst of one of the USA’s premier training facilities. As well as hosting our accredited courses the center also offers the nation’s first Associate in Applied Science Degree in Wind Energy and Turbine Technology. Starting in 2004, Iowa Lakes has been a leader in delivering training and education to meet a rapidly growing demand for operations and maintenance (O&M) technicians across the country and abroad. 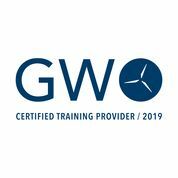 We’re super proud to call this home in Iowa for our GWO training if you’d like to find out more about the full range of courses on offer get in touch via the button below.